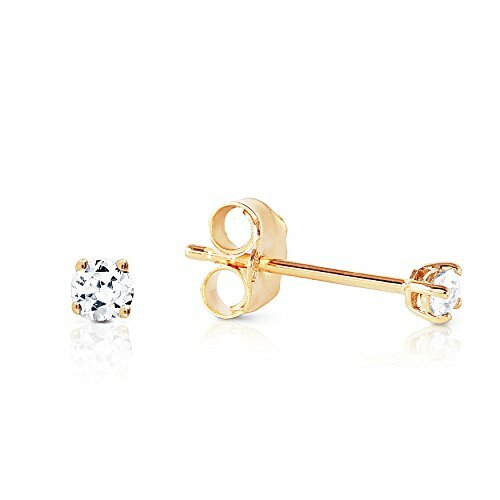 Diamonds are the epitome of luxury and beauty, and with these 14k solid gold stud earrings with 0.10 ct natural diamonds, you don't have to be rich to own fine jewelry featuring these dazzling gems. Each pair features two round cut gems set in the classic solitaire style. A .10 carat total weight makes these dainty while still containing plenty of the sparkle that diamonds are known for. Each diamond is set in a classic four prong setting, crafted in your choice of solid 14k yellow, white, or rose gold. Diamonds are a natural gem that contain inclusions which do not affect the beauty of each stone. Proudly Made in USA, Crafted in Los Angeles, California - The City of Angels.